Relatives of Sept. 11 victims say they're angry that the Justice Department is supporting the Saudi royal family's bid to be removed from a 9/11 lawsuit. Their complaint alleges that the Kingdom of Saudi Arabia, the Saudi High Commission for Relief to Bosnia and Herzegovina (SHC), and four Saudi Princes (acting in both official and personal capacities) made donations to charitable organizations with the knowledge that those organizations were diverting funds to al Qaeda, and that a fifth Saudi prince knowingly provided banking and financial services to Osama bin Laden and al Qaeda. "The lower courts correctly concluded that Saudi Arabia and its officials are immune from suit for governmental acts outside the United States," wrote Solicitor General Elena Kagan. "Although the United States disagrees in certain respects with the analysis of the court of appeals, further review by this Court to determine the best legal basis for that immunity is unwarranted." The brief also disputes the litigants claims that their lawsuit falls within acceptable parameters of the Foreign Sovereign Immunities Act (FSIA), which grants immunity to foreign officials performing their duties but also allows exceptions for certain noncommercial claims involving injuries "occurring in the United States and caused by the tortious act or omission of [the] foreign state." Last August the Second Circuit Court of Appeals held that the FSIA exceptions to immunity did not apply, and held it lacked jurisdiction over the Saudi princes' personal acts. 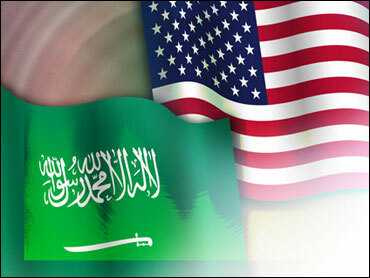 The lawsuit, Federal Insurance Co. v. Kingdom Of Saudi Arabia, was initiated in 2003 by a consortium of insurance companies seeking to recover more than $300 billion for losses incurred by the 9/11 attacks. Prince Mohamed al Faisal al Saud, who unlike the other princes named is not a government official but a bank manager alleged to have knowingly provided material sponsorship to international terrorism. "I find this reprehensible," Kristen Breitweiser, a leader of the Sept. 11 families, told The New York Times. "One would have hoped that the Obama administration would have taken a different stance than the Bush administration, and you wonder what message this sends to victims of terrorism around the world." Breitweiser's husband was killed in the attacks on the World Trade Center.